As a business owner or decision-maker, chances are you’ve needed graphic design services at some stage in your professional endeavours. Maybe you’ve recruited a graphic designer to join your in-house marketing team or partnered with a marketing agency to handle your graphic design. Alternatively, you may have used a freelancer recommended by an associate or dipped your toe in the pool of online marketplaces for freelance graphic design services (99 designs, Freelancer and Fiverr, for example). No matter how you’ve gone about it, your experience has probably been mixed. Hopefully you’ve found a gun in-house graphic designer who exceeds expectations every time, or struck gold with a gem of a designer based overseas who always overcomes the language barrier to produce graphic design exactly to brief (AND is happy to work for a quarter of Aussie rates). Naturally, our hope is that you’ve invested in a relationship with a local marketing agency that knows your business nearly as well as you do and smashes every job out of the park. If any of these scenarios apply to you, you’re one of the lucky ones. We’ve heard some horror stories from our clients over the past 5 years. The question is, what can you do to achieve graphic design consistency and get an all-round better result for your business? As a starting point it’s important to understand that not all graphic designers are created equal – and that graphic design is a SUBJECTIVE discipline. 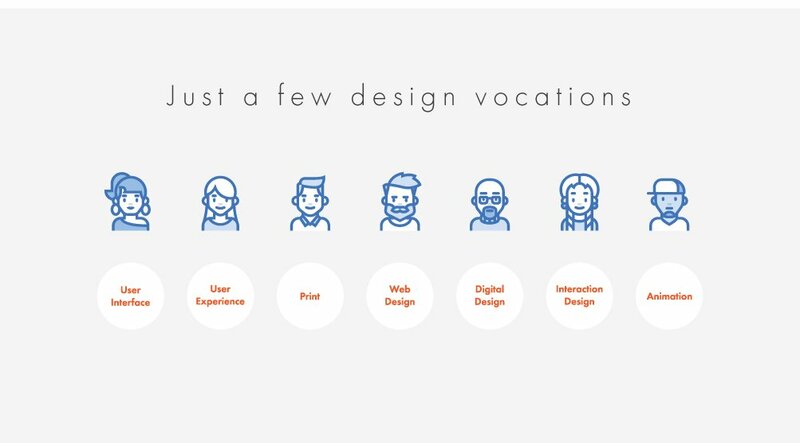 You can work with two designers who are the same age with the same design education and experience and the work you receive will be completely different. This is design we’re talking about here – it’s open to creative interpretation. One thing we find is not discussed often is individual style. Everyone’s got one. Some will appeal to your aesthetic and suit your brand. Others just don’t do it for you. According to the design community, some people have ‘it’ and other people don’t. ‘It’ is ‘The Eye’ – an innate talent and flair that can’t be taught and can’t even really be explained (yet can be improved upon with experience and mentoring). When selecting a graphic designer, we recommend you look very closely at candidates’ portfolios and ask them to explain their role in each project. With the prevalence of digital, a raft of graphic design specialities have emerged. As with all industry experts, you can’t be a specialist in everything. Each specialty requires a different set of skills. To get the most out of a graphic designer, it’s essential that you understand your organisation’s graphic design needs. Does your business centre on an e-commerce site, linked EDMs and social campaigns? If so, you need a digital designer. We’d advise against hiring just a garden-variety designer if all your sales are funnelling through a website – impressions are important. The professional services industry is different. If your business produces a lot of tenders, proposals and case studies and you’re sick of them looking sub-par, you’re looking for a very different graphic design skillset. While we’re on the subject, passionate graphic designers who are heavily into their craft don’t typically enjoy working in Microsoft Word. The program may be beloved for its word-processing capabilities, but its visual limitations are hard for our designer friends to handle. Our experience indicates you’ll be hard-pressed finding a graphic designer at the top of their game for this type of work. They prefer to work in the Adobe suite with InDesign, Illustrator and PhotoShop. If you’re involved in a company with a firmly established brand that’s been around for years, there must be a style guide floating around somewhere. Your graphic designer needs this to reference colour palettes, Pantone swatch values and Do’s and Don’ts regarding fonts and logo use. This ensures visual consistency across applications, which over time transfers to brand equity. We’ve talked before about the importance of investing in your brief. Generally speaking, the better the brief, the better the outcome. Having a clear brief is especially important if you’re working with a new graphic designer who is not yet familiar with your business. Once you’ve been working with a designer or marketing agency for a while, you’ll naturally develop your own professional shorthand and ‘in-references’ (like ‘in jokes) that you can use instead of spelling things out. How much does your business value graphic design services? Determining what graphic design is worth to your business (and how much you’re willing to pay for it) is important. To frame your expectations, here are some average rates you can expect to pay for graphic design services in Australia. As you can see, experienced graphic design services are not cheap. A lot of study and training is involved in becoming an accomplished graphic designer, and understandably this is reflected in their salary expectations. Of course, if you venture overseas via an offshoring website, the pay rates will vary depend on where your designer is based. Some say you can’t put a price on design for your business that’s professional, credible and aspirational; others believe you can take shortcuts and still get an OK result. Naturally, our stance is that good-quality graphic design is a wise business investment. Talk to Sketch Corp. about how good graphic design can make business better for you.